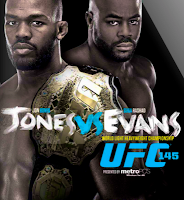 UFC 145 Jones vs Evans Fight Pick and Breakdown | MMA Fighting Events Videos Techniques UFC Fight Picks and News. Jon Jones rose through the UFC (Ultimate Fighting Championship) light heavyweight division by not only winning, but by demolishing the competition. On Saturday, April 21, he faces his biggest challenge yet. Jones will face number one contender, former UFC champion and a fighter with only one smudge on his record, Rashad Evans. UFC 145 is going down at the Phillips Arena in Atlanta, Georgia. Check out the video for my official call on UFC 145. 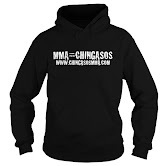 Now that you know my fight pick for UFC 145, and that we're a bit crazy over here at Chingasos MMA, I'll take you through each of the fighters last few fights so that you can see how I came to my official choice. Wins a unanimous decision at UFC on Fox 2 versus Phil Davis. Wins via TKO (knee to the body and punches) at UFC 133 in the second round versus Tito Ortiz. Wins a unanimous decision at UFC 114 versus Quinton "Rampage" Jackson. Wins a unanimous decision at UFC 108 versus Thiago Silva. Loses via KO (punches) at UFC 98 to Lyoto Machida in the second round. Rashad Evans is 4-1 in has last five fights, and 17-1-1 overall. With the exception of the KO loss to Machida, Evans finds a way to win. Not all his wins are exciting or MMA fan pleasers, but a win is a win. He uses his strengths wisely. Wins via submission (guillotine choke) at UFC 140 versus Lyoto Machida in the second round. Wins via submission (guillotine choke) at UFC 126 versus Ryan Bader in the second round. Wins via TKO (elbows) at UFC Live 2 versus Vladimir Matyushenko in the first round. Jon Jones is 5-0 in his last five fights and 15-1 overall with the only smudge on his record coming via a disqualification. He was DQ'ed in his fight with Matt Hammill at the Ultimate Fighter season 10 finale for using illegal downward elbows. If not for the DQ, Jones would have won that fight as well and would be officially undefeated. As you can see by Jon Jones last five fights and his overall record, he doesn't just win, he picks fighters apart and then goes in for the finish! More impressively, he's not just finishing off run of the mill MMA fighters, he's finishing the best of the best in the UFC's light heavyweight division. 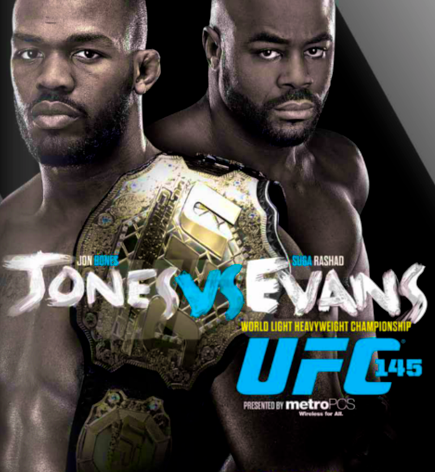 Rashad Evans will give Jon Jones a good fight, but unless Evans gets lucky, Jones will pick him apart and go in for a finish. Jones will continue building his legacy as one of the best MMA fighters ever!